Controversial is the word of the game, a game that promised so much, but yet caused so many to scream that they got so little. This is a game set out in a vast universe, one massive entity where we would be exploring aimlessly for centuries. People would get to see alien life forms wandering around, as well as barren and desolate planets. This is a game that has gotten so many people upset because they don’t have anything more than an exploration game. A game where you gather resources, explore and then we’re done with it. 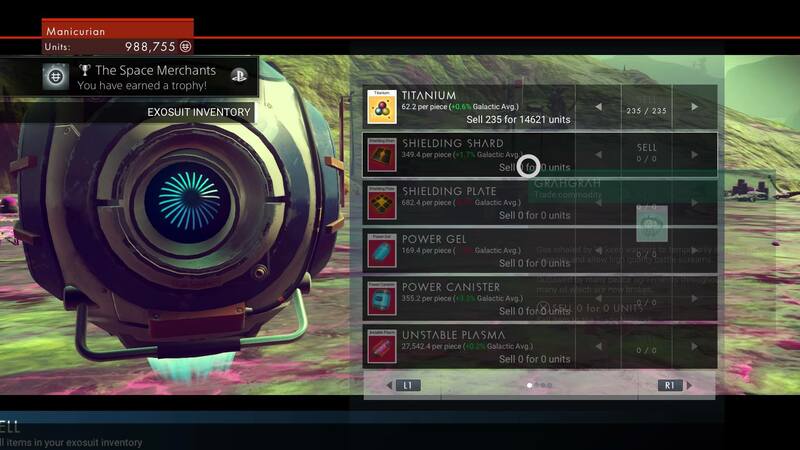 I remember I wrote about how excited I was for No Man’s Sky, because I love grind games. I love repetition and I love to explore. I love the nooks and cranny’s of games, I love Easter Eggs and glitches. 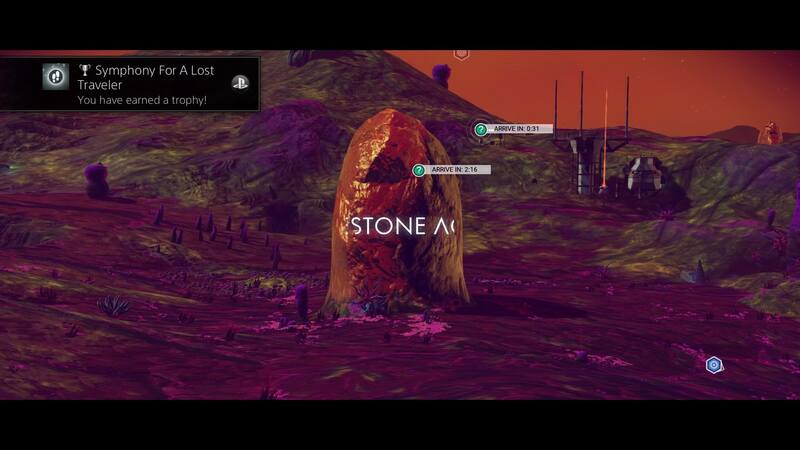 Okay, this bit is a little bit disappointing – But basically the story of No Man’s Sky is just there to get you to really understand what the game is about. 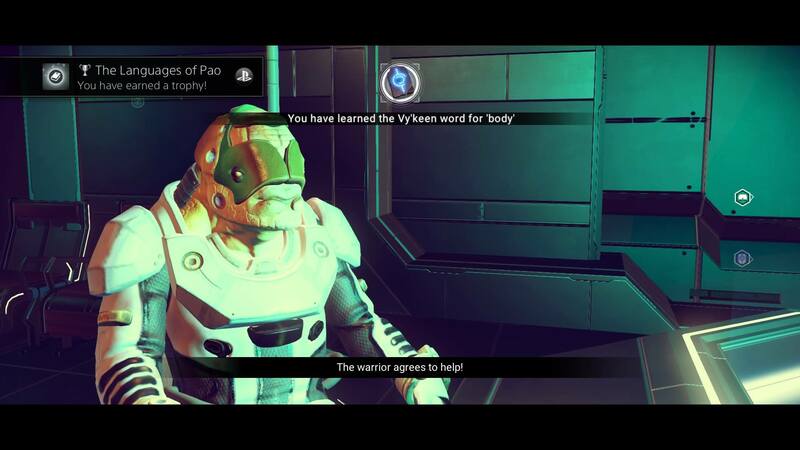 During the story, you will follow the Atlas, or you will try and proceed through the universe yourself. You will attempt to reach the centre of the universe, which has been met (with*) (a lot) (of criticism). Rightly or wrongly, the game is about getting to the centre of the universe and then continuing your exploration of the universe. That’s what the game’s story is all about – and that’s it. You can also follow one of a few paths to get to the centre of the universe: Either via the Atlas, the Vy’Keen or presumably by yourself completely. When I was reading about this game, a long time ago, I remember being excited by the seemingly infinite planets. The numbers blew my mind and that’s what I wanted out of this – To explore, publish my findings in some central database and proceed. I didn’t care for a story and it seems like the story of the game is just there to get you to explore. 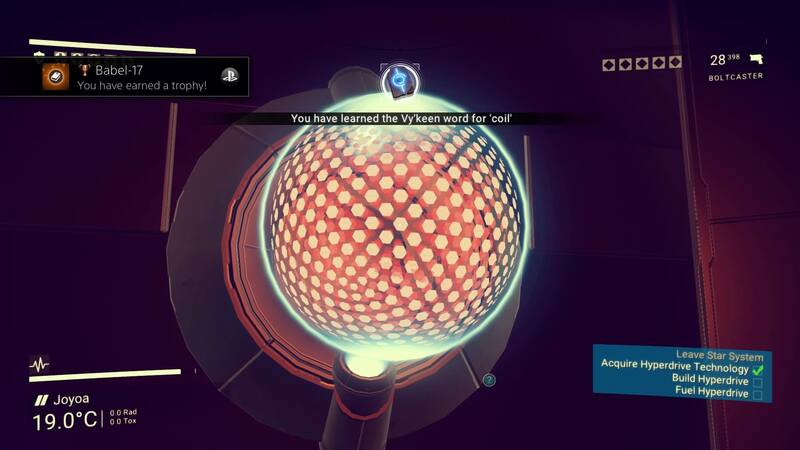 The game starts you off on a completely random planet. 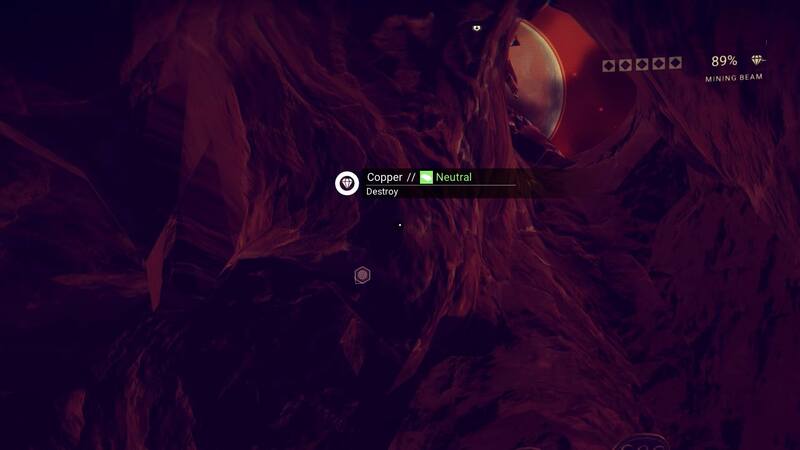 I found my first planet and started to look around, thinking “huh, is this Minecraft all over again? Procedurally generated world with no purpose?” That made me happy, as that was what I was looking for. I like exploring worlds that a computer has made up – It’s fun! It’s why I like rogue-likes so much! Once you get your bearings, you understand that you need to gather resources, submit your findings to The Atlas and off you go! You need to gather resources and learn how to improve your equipment, as well as fixing up your broken ship – and that’s basically it. 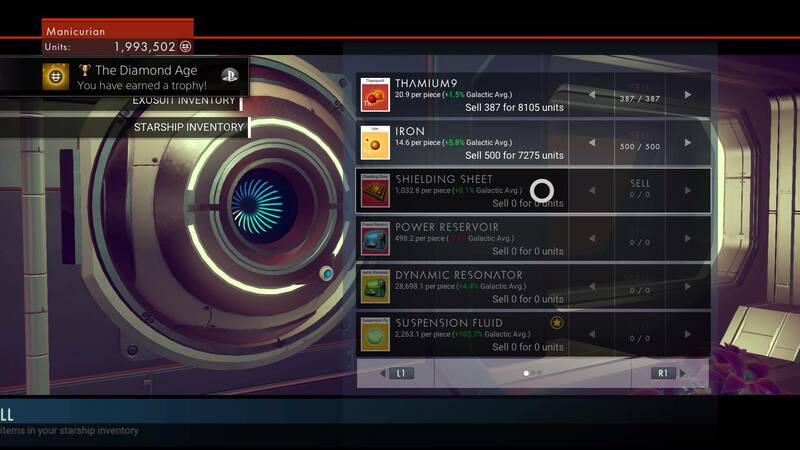 You get resources, you fix stuff that’s breaking or refuel anything that is running out of whatever fuels it, then go between planets and rinse and repeat. The game hasn’t promised to be much else, but of course, people do look into what is said quite seriously. If the developer states that there is to be factions, then of course everyone will want to see this. But then again, when you consider how a faction works… Wouldn’t that mean you would need to have met other people? Those who say that this is only a single player game are wrong, although some clarification as to how players really impact this universe should be made. The issue lies in that people are looking around really quickly and going between system to system. Some people are exploring every planet on their systems – but by the time you’ve bounced between systems, the person who was once there probably has already finished on the planet you’ve gone on. When I got this game, I was expecting to never encounter another person and I have no issues with this. But I know I’m not in a “typical” single player game, in that I’ve seen other peoples systems and other peoples planets. This is where it gets a bit more interesting. 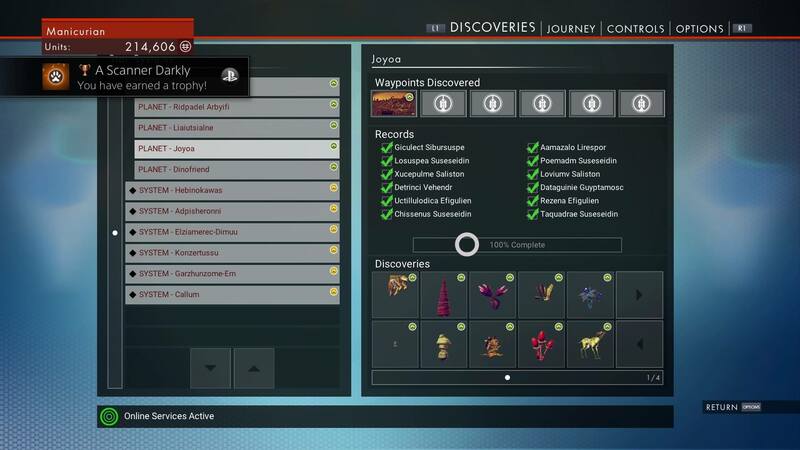 The features that Hello Games promised are in there. The only thing I’m not so certain on is “can you name your ship“, but apparently if you’re the first person to find a kind of ship, then everyone in the game will see the name of the ships as whatever you named it. Effectively, if you found a specific kind of ship and called it a flippyflappy, then everyone would see that. This is true for planets, systems and more. Don’t forget, this is the universe and it’s your job to go and discover as much as you can! 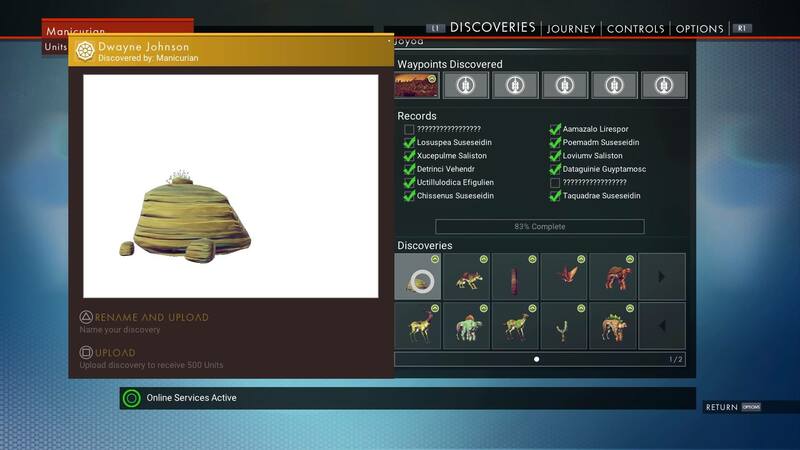 You will find a ridiculously large amount of procedurally generated creatures and procedurally generated flora. You can discover them, upload them and name them. You can even name the systems you’re in. I saw a ridiculous comment on YouTube, where the guy claims you cannot travel between Systems. That’s kind of one of the major things to do with hyperdrive, sir..? Yes, you can travel between systems. By the by, let’s talk about the universe for a bit. You fly from planet to planet, blowing up debris and ships. The Sentinels are a force to be reckoned with, but if you’re like me, you kinda like blowing up the baddies. 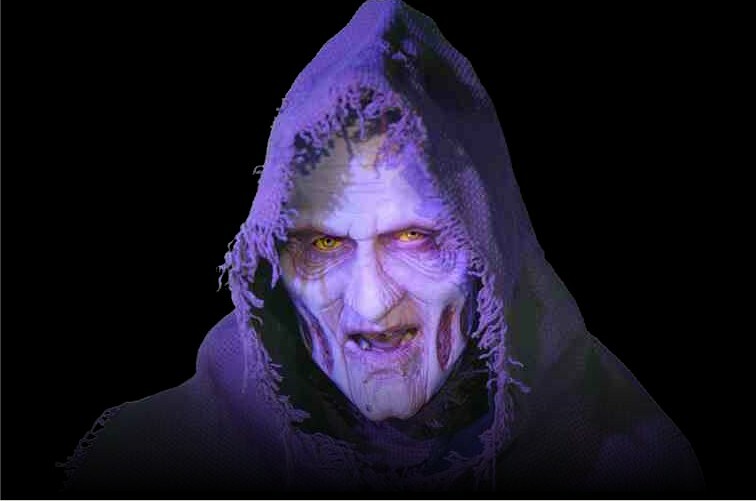 We don’t really know if they are baddies, but they certainly seem to be against what we’re about. 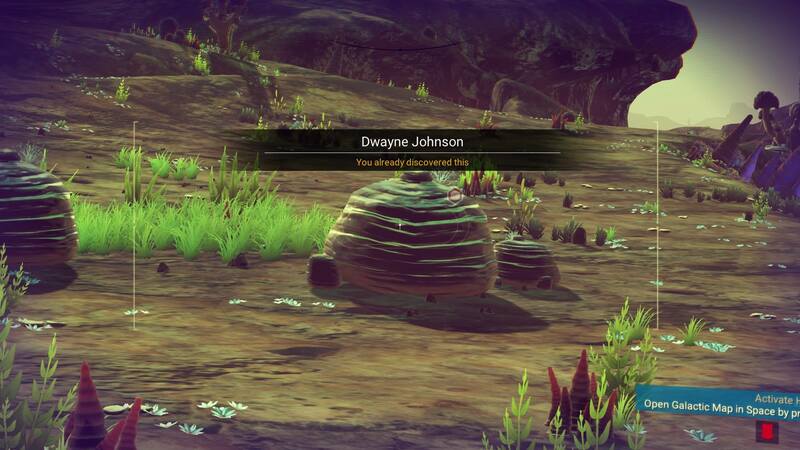 Perhaps a future update could give us more reason to want to go and blow up their space ships, but I’ve had enough of their crap when they eye me down just for blowing up a rock called Dwayne Johnson. I understand these are all giant wrestling fan robots, but c’mon guys. The full OST was composed by 65daysofstatic. Go give them a like! To be fair, this part of the review has nothing wrong with it at all. The music is atmospheric, before picking up whenever the game gets a bit more tense. If you decide to attack one of the drones flying around the place, the music quickens and gets a bit more serious. Other times, when you first enter a planet, you will enter to some relaxing music, allowing you to explore at your leisure. The music in the game is beautiful, but it’s nothing that will make you run to the shops to buy the OST. Still, linked above is a sample of the in-game music. 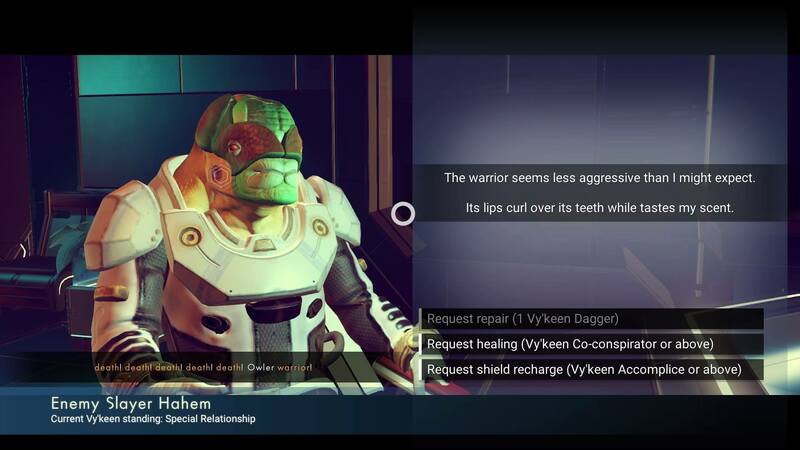 Meanwhile, the audio of the Vy’Keen just sounds like someone going “omnomnom” next to a microphone. This isn’t necessarily a bad thing, as I don’t expect to understand them… But it does sound a bit weird. Voices aren’t all bad though: The robotic voice who keeps telling you that your suit is in trouble is a proper robotic voice. As well as this, the sound effects in the game are on point. There’s not much to say about sound effects though… I mean they’re great for what they are, but they are just sound effects. 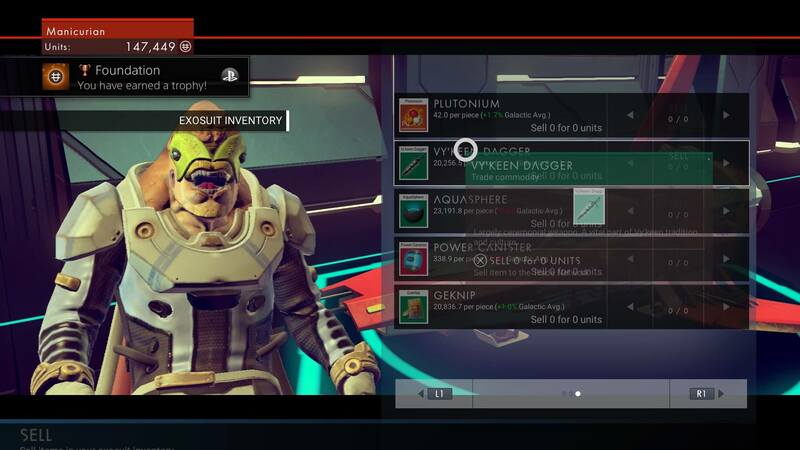 You can trade between Vy’keen too. CAN YOU SMELL WHAT THIS ROCK IS COOKING?! 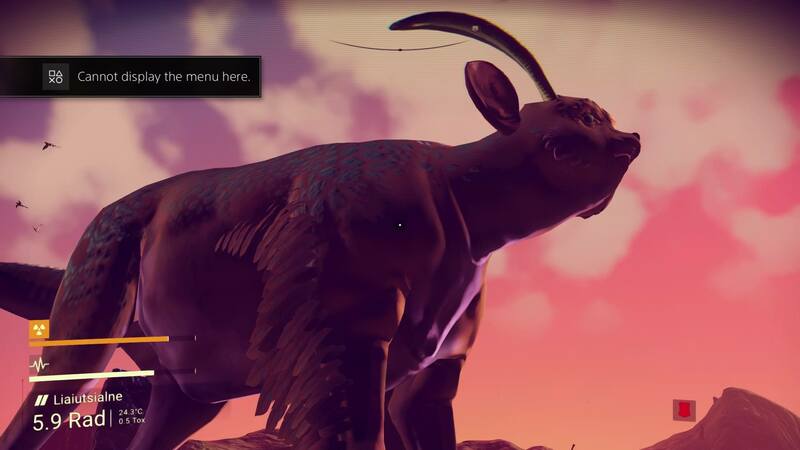 So yes, you are free to be as upset as you want with No Man’s Sky. But as you might have seen from the above Gameplay section, they delivered what they promised. If you feel like you’ve been misled, then unfortunately the onus might come back to you. The game never promised a building facility, nor it really promised much in the way of resource gathering. That was something I personally didn’t expect when I walked into it (having watched no gameplay trailers). I can completely sympathise with the anger and the frustration that people feel towards the game, but let’s not take away from the fact that this was made by a tiny team in a small amount of time. I’m not fully defending this game, for it does indeed need more. I agree with the complaints, wanting to see more happening, but I’m disgusted by the people who demanded a refund even after 10+ hours of gameplay. That’s why this review has been full of links everywhere: I’m bringing all of the points together to explain that both sides are wrong here. 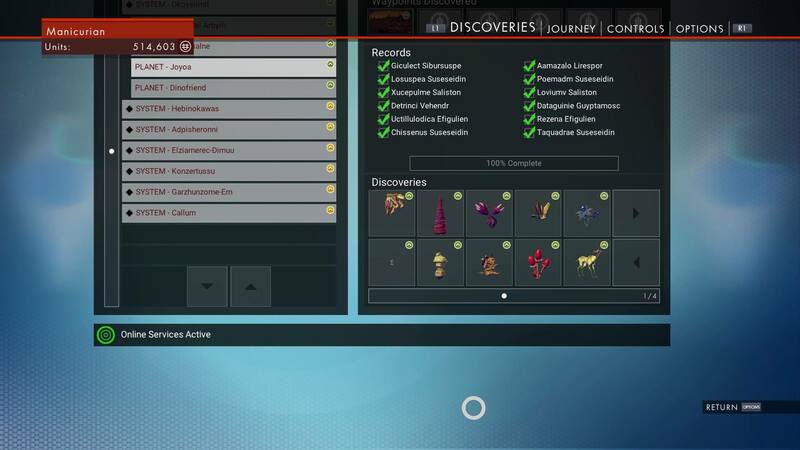 Yes, Hello Games need to do more, but they’ve got the ability and the time now to do so. They can implement patches to bring massive gameplay changes in. I’m hoping they take the criticisms on board and actually release some more interesting features, but apparently this is what they’re working on. 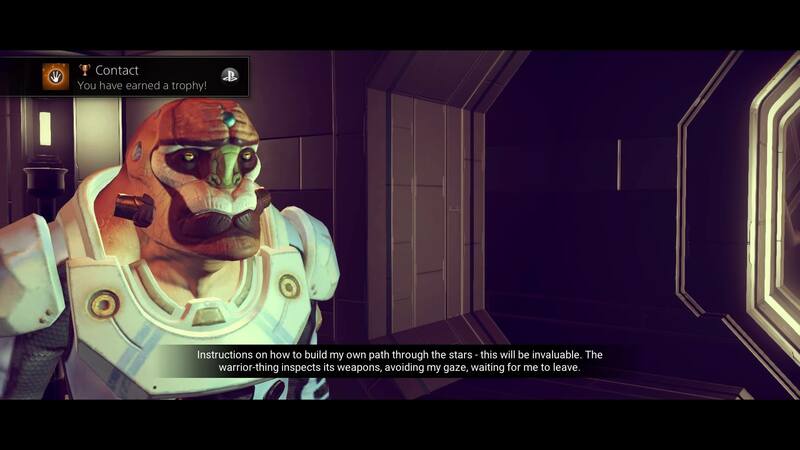 They have been actively working on fixing bugs, which were found within weeks of the game being released and I’m hopeful that this becomes a bigger game than it currently is… Even though when you consider the sheer number of planets, the game is plenty big enough as it is. To summarise then, this isn’t the best game in the world (hah, get it..? ), but I’ve enjoyed my time in space. There is an air of over-repetition in the game and I hope the developers address this. I also hope that the initial backlash from a very keen fanbase (and the journalist trigger fingers) will not cause too many problems for the developer down the line. 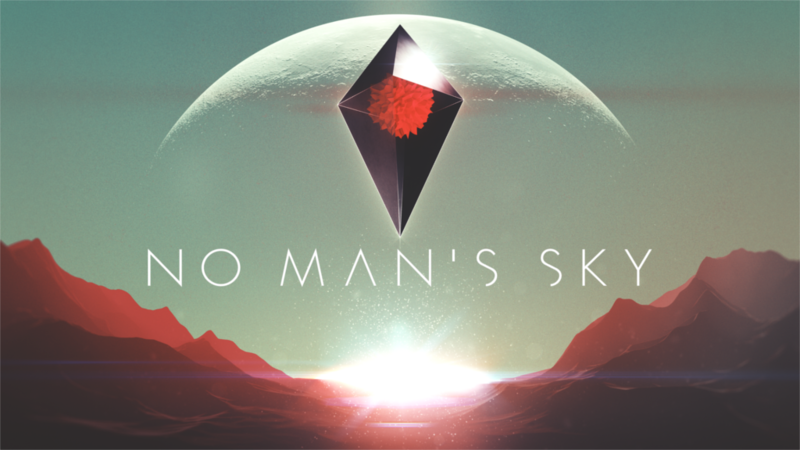 Perhaps I’m being too optimistic and perhaps the game will go nowhere, but I want to believe Hello Games will expand their universe… Even if it’s in a bizarre fashion. I tell you, if they implement a building facility into the game (like they’re saying they will at the bottom of these update notes, ) I’m all for it! I’ll inhabit every world I can, build a little castle base and raise my flag and say “come at me universe”, whilst the toxicity levels of the planet rises… But now it’s over to you. Am I right or wrong in calling out both sides to this story? Do you think I’m being unfair on the people who play the game, or am I defending both sides points fairly? What do you make of the overall game, now that you’ve read my thoughts? Have I made your opinion differ any? As always, thanks for reading and please remember to leave us a comment below, or over on Facebook, Twitter and Reddit. 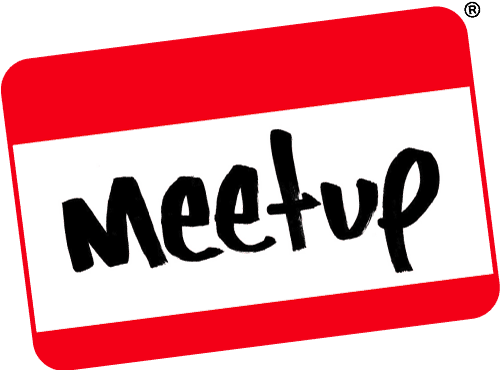 *These links have adblocker blockers. I have a bit of a soft spot for shoot-em-up style games more commonly known as SHMUP’s. Like any game I play there has to be a certain something that makes me want to keep playing. Almost anyone can design a game where you just shoot waves upon waves of enemies, it takes a keen sense of game design to make that game feel right. Of course the feeling is subjective and the only way I can demonstrate what I mean is by telling you about two of my all time favourites. Not long ago I spoke about wanting to play some harder games and record them. One such game has appeared for me in the form of Steredenn, a space shooter bullet-hell. I have been playing the Early Access version of the game, but I’m pleased to tell you that it’s out of Early Access. Released on October 1st, this game is hectic and chaotic, whilst being smart and modern. It’s a great game, but enough about that, why not check out our video at the bottom of the page? As is typical of a bullet-hell, there’s really not much of a story. It’s just that some pirate fleets have come to infiltrate your base. They’ve caused some serious damage, shredding through all of their opposition (you and your allies), leaving you to defeat them through the wreckage of your allies and the space rock. It’s not exactly a hard game to understand, you’re flying a ship with the premise of just blowing enemies up, which is A-OKAY in my eyes! I believe not all games need to have some of the most incredibly intricate of stories – But this tells a typical bullet-hell story: You’re a single unit against vast seas of enemies… You, and you alone, must take these pirates down. We really don’t need anything more than that for the story. The game plays really well. It works well on both keyboard and on the game pad, of which I used both to test the game. The video below is me on my game pad – The latency of which feels pretty good (very minimal, which is hugely important to this kind of game. An interesting aspect is the fact you get just two weapons of which you choose what you want to keep and change over. If you see an available weapon, you tap the pick-up key to pick a weapon up to replace the one you are currently using. You always start off with a basic blaster but you can go on to get rocket launchers, lasers and even auto-firing robots. The many different weapons work in particular scenarios better than others. It felt as if the game has a very steep difficulty curve once you get past the first boss. Typical of bullet hells, this is a game where you will not kill every enemy, often leaving them out so you can go and beat up the big baddies. On the plus side though, the game seems to be really high on using score as an indicator of success. 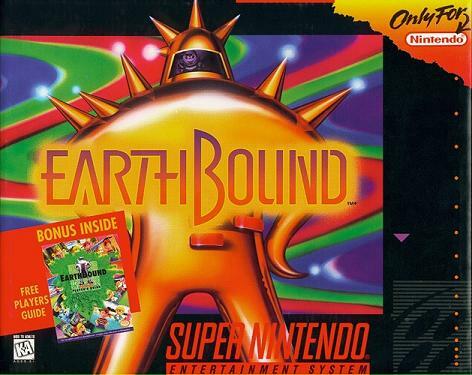 I, however, will try to get as far as beating the big baddie of the final stage… Eventually! I don’t think I’ll be getting there any time soon. The music is a simple arrangement of heavy guitar work and drum patterns. 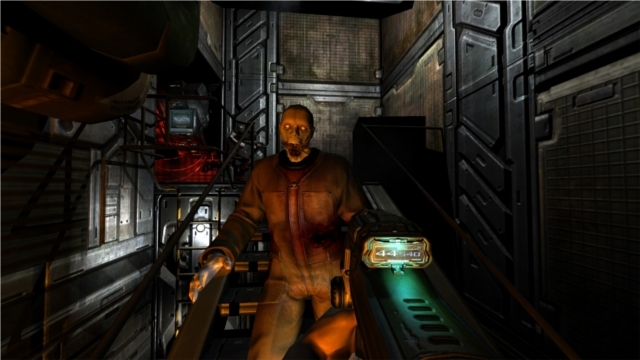 It’s basically a metal-inspired soundtrack which really helps to pump the adrenaline into you. It’s simple, it’s fast paced and it does the job effectively. Couple the heavy metal with the space-like and ambience inspired sound effects of the game, we’re onto a modern space shooter that anyone can get behind. The volume can be adjusted, depending on your interests in metal! I’d highly recommend Steredenn, if for nothing more than the fact it has a great soundtrack, it is visually pleasing on the eye and it’s hard as nails. I know this won’t be a game for everyone, due to the very nature of bullet-hells, but hey, I personally loved every second of it. With this in mind, I’d like to leave you on the thought that Steredenn is a fast-paced bullet-hell, which is beautifully presented and is a genuine challenge. Check it out below and don’t forget to comment, like and if you liked the video to subscribe to our YouTube channel too. Also, leave us a comment on Twitter and Facebook.